Unlike any area in Minor League Baseball, the Savage 61 Dugout Suite puts you in the closest seat to the action on-field, located just feet away from the diamond on the first base side! With covered seating, handicapped accessibility, and the most unique view around, your group will thank you over and over again for this one of kind experience! The area also features personal waitress service, a pre-game warning track cocktail party, and the option for an all-you-eat buffet, open bar, and the Dugout Suite-exclusive "Bull's BBQ". The 56-person area is available starting at $25/ticket and can be rented out exclusively or tickets can be purchased individually. 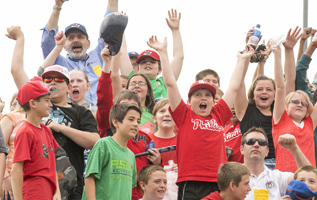 The Savage 61 Loge Box will be located behind the Fightin Phils Price for the Loge Box will be $42. The price includes a 4-hour all-you-can-eat menu from concession stands, starting two hours before game-time. Those groups not wishing to have an all-you-can-eat buffet can purchase tickets for $17 and may order food throughout the evening from the waitress staff. Groups of 20 or more can also choose to add an open bar option if they wish. 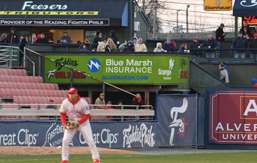 The Reading Fightin Phils are rolling out the red carpet once again for fans beginning in 2017 with the ALL NEWSavage 61 RAM Club Box Seats. The Savage 61 RAM Club Box Seats feature the same quality waitress service, and same delicious menu, as the Savage 61 Dugout Suite. 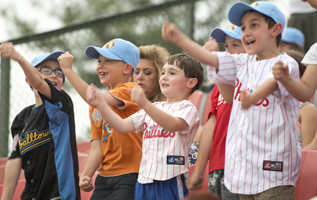 With the success in 2016 of the ALL NEW Savage 61 Dugout Suite, the Fightin Phils and Savage 61 have again partnered to bring fans the utmost in fan experience. The ALL NEW section puts you closer to the action on the field, with seating in the front two rows of seats. The ALL NEW Savage 61 RAM Club Box is located directly next to the Savage 61 Dugout Suite down the right-field line in front of the Fightin Phils bullpen. Each seat includes a Savage 61 VIP Club Seat Cushion, and between every two seats, space has been added for a waitress serving tray to be placed. Fans will enjoy terrific waitress service, and have a place to lay their serving tray when the waitress arrives with their delicious hot food, or cold beers and mixed drinks. 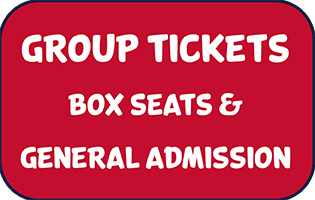 Tickets for the ALL NEW Savage 61 RAM Club Box Seats are $20 and include an option to add food and drink through the Fightins Concierge Program. 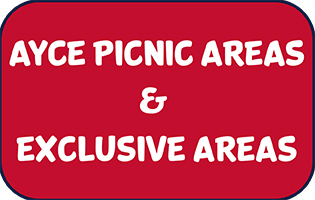 Fans can reserve the entire area for 36 people, or book any amount of tickets. 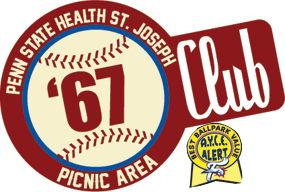 The historic Penn State Health St. Joseph Network '67 Club Picnic Area is the original group picnic area at FirstEnergy Stadium that pays tribute to Reading's long-standing relationship with the Philadelphia Phillies. Each of the 28 tables in the '67 Club are named after Phillies greats that have come through Baseballtown over the team's 50-year history. It is also the prime location for business leaders to treat employees and clients alike. The '67 Club's fantastic location next to third base also puts guests closer to the field than any other group area at America's Classic Ballpark. Bunbino's Tailgate at the Coors Light Deck appeals to both die-hard and casual fans with its picnic-like and fun tailgate atmosphere. During your picnic, you may even catch a souvenir as the area is situated directly in prime home run territory behind the left field wall. Bunbino's Tailgate All-You-Can-Eat buffet features Berks County's largest hot dog toppings bar, plus a nacho station. 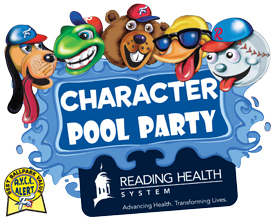 The menu includes BBQ chicken, hot dogs (with the aforementioned toppings bar), hamburgers, cheeseburgers, baked beans, potato salad, tortilla chips (with a nacho station), chips, cookies, and Pepsi products. The Sly Fox Brewery Power Alley Pub features a 2 1/2 hour all-you-can-eat buffet, private bar with bartender, snacks and hot dogs served throughout the game, two rows of seats (16), barstool seating and four cafe tables to accommodate an additional 16 fans. The Pub provides your party an exclusive area to enjoy the ballgame. The Blue Marsh Insurance Foul Porch is located a shade into foul territory in the left field corner, the Blue Marsh Insurance Foul Porch offers a 2 1/2 hour all-you-can-eat buffet and drinks in a festive atmosphere with a unique perspective of the game and a bird's eye view of the visitor's bullpen. Box and Reserved tickets guarantee your group will be seated together in a block of seats. Provide members of your group with a nice gift or help commemorate your group outing! 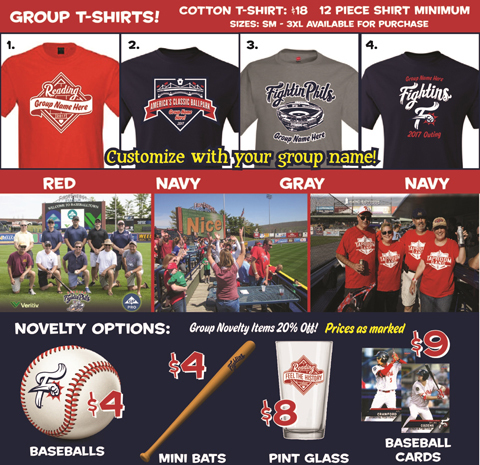 Contact your Fightin Phils Group Sales Representative for more information!